The lingering repercussions caused by the great recession are still affecting businesses throughout the world. Getting a loan from traditional banks is still a challenge for the business owner, especially of a smaller companies. Owing to their bad credit ratings or no credit, the banks cease to fund many businesses which induces the owners to look for alternative financing such as merchant cash advances. So, this alternative financing is increasingly gaining popularity among business owners. And, getting a quality ACH leads list is an ideal way to identify your potential customers and then target them effectively. ACH- Automated Clearing House is the electronic funds transfer network that processes debit and credit transactions in batches. ACH transactions offer easy application and repayment. This is the reason more and more businesses are opting for ACH payments over other modes. However, the businesses are still confused as to whether to consider ACH merchant cash advances to fund their enterprise or not. So, when you plan ACH marketing, the most important thing is to find quality business leads. Buying ACH leads list from a strategic lead generation service proves quite helpful in finding the right prospects. People who are working in the merchant cash advance industry are well-aware of the importance of finding and building clients. Having access to a quality ACH leads list can provide you with contact information of those businesses that can be your target prospects. Generally, the businesses listed on ACH lists are the ones who have obtained a merchant cash advance previously and are expected to seek this type of loan again in the future. Usually, the businesses looking for merchant cash advances are new in the industry with a poor credit rating or no credit at all. And, you know qualifying for traditional bank loans is tough in the present scenario owing to the strict eligibility criteria set by the banks. So, these new companies make the ideal customer to sell merchant cash advance loans. Thus, buying a quality ACH list from a trusted lead generation service like ours will help you reach prospects efficiently. Merchant Financing Leads is the right provider offering fresh and qualified business loan leads to help you attract prospects and sell MCAs effectively. SEE ALSO: Try UCC Database and Target the Right Business Loan Leads! 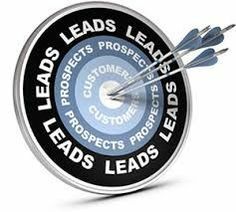 As an effective lead generation firm, we understand your concerns and business needs and will work closely with you to provide high-quality up-to-date ACH leads lists that perfectly match your business requirements and objectives. All our data is updated every month to ensure that our customers get the most accurate information and can target their business loan marketing campaigns the right way. Our lists are available at affordable prices to make your experience worth investing. Using our fresh, up-to-date ACH mailing lists will help you reach your prospects well-prepared. We make sure that the entire data is filtered and only the names of the most relevant companies are included on the list. So, if you are looking for ways to sell merchant cash advances, getting our up-to-date ACH leads list can be of great help. Next Next post: Explaining How a Merchant Cash Advance Is Immediate Cash to Meet Financial Uncertainties Will Help Attract Business Loan Leads!